Answers to common Football Manager gameplay questions. Revenge is a dish best served cold. Take your revenge on those money-grabbing agents! Easiest way to finding players in Football Manager, really useful for lower division clubs! Scouting Reports: Why do some players have black stars? Black stars were introduced in Football Manager 2015 to indicate uncertainty. In this post I explain what they mean and which factors affect them. What are these 2 new staff roles about? Which are the key attributes to look for when searching for a data analyst and a sports scientist? Read on to find out. Since I’m a huge proponent of Gegenpressing, I’ve oftentimes been asked to break down what exactly it is that will make a Gegenpressing tactic work. Originally written for FM17. Brand new player roles are coming to Football Manager 2018. We take a deeper look into each one of the four new roles added on FM 2018. Official insights on injuries in FM 2018 by Sports Interactive. Which factors affect injuries, what to expect, how to deal with it. A brief guide to understanding injuries in FM18. 53bast1an outlines three creative ways to enjoy a new save of Football Manager. Can you relate with one of those? What is your preferred way to play FM? Did some testing on FM 2018 in an attempt to achieve a better, more healthier transfer market that doesn't end up with tons of English talent and only a few others. Analyzing the opponent and adjusting your Football Manager tactic to exploit weaknesses you're able to find. A tactical approach by @DistanceCovered. Can the Football Manager AI figure out your tactic? Myth or Fact? Does the Football Manager match engine AI work out your tactic after a while or not? We reveal official insights by Sports Interactive. 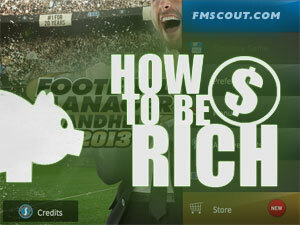 Financial management is one of the most important things on Football Manager. This article will hopefully give you some key tips to improve your club's finances. Preset tactical styles make their debut on Football Manager 2019. We take a look at the new tactical styles on FM 2019 to explain what each of them does. WIP.